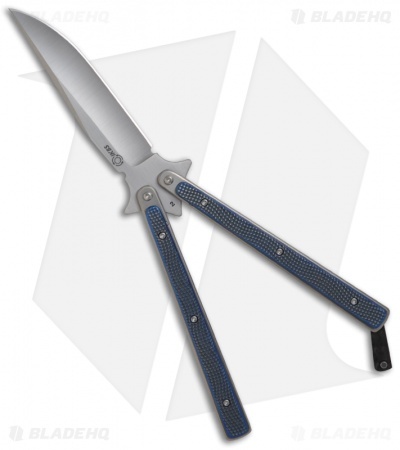 Here at Blade HQ we get excited now and then with some of the new knives that come in. 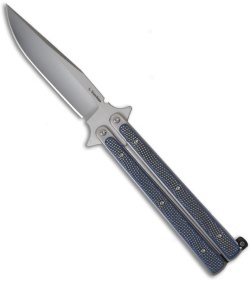 The Les Voorhies Model 1 Bali is one of those knives. 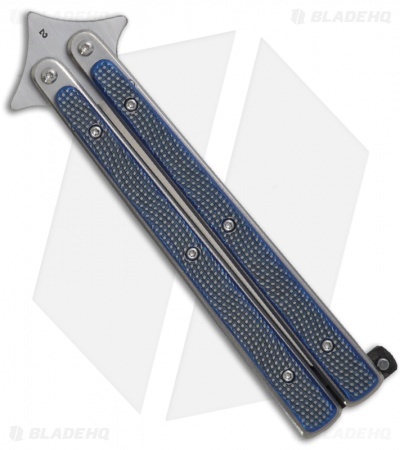 If you like butterfly knives then you will love this one! 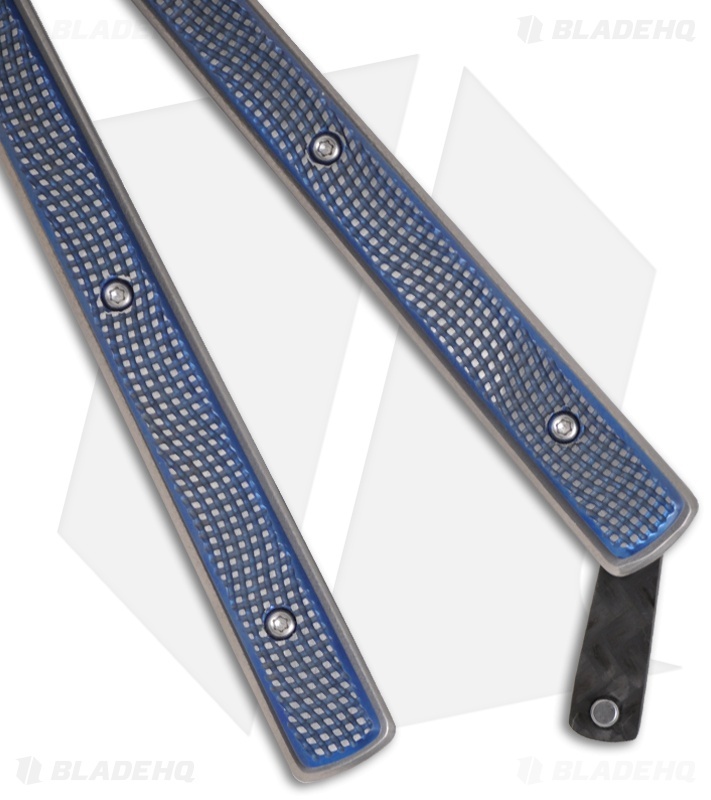 This Model 1 features wave pattern textured titanium scales over a stainless steel frame. Carbon fiber has been used for the spacers and latch. The clip point blade is satin finished CPM154 steel. The tang has stamped number "2". Thanks to the IKBS bearings, this knife has superb action that you'll love.